The Super-Sprint is a 400m swim, a 10km bike ride and a 2.5km run. The Sprint is a 750m swim, a 20km bike ride and a 5km run. The Olympic Triathlon is a 1500m swim, a 40km bike ride and a 10km run. Finally there’s the Olympic Plus which is a 1500m swim, an 80km bike ride or a 10km run. … and we were lucky enough to have people doing it for danceaid in all of them! The first thing that struck us is how huuuggggeeee the whole venue was. They had absolutely everything – lots of stalls for triathlon equipment, a big signing-in area so we didn’t have to queue and a whole food hall outside with a massive variety of meals and menus. …and yet at the same time it felt like a small local event in many respects. Everyone was so friendly and because all the races are divided up over the course of the weekend the group you start with is only a few hundred people – so there’s a real sense of camaraderie. That sense of camaraderie gets even stronger as you brace yourself for the first part of the Triathlon – a swim in the Thames. I’m not going to lie to you, it’s cold. It doesn’t matter what the weather is like either (Sunday’s races were in the midst of a really bad weather, but Saturday’s races were in what felt like a nice summer’s day) every single one of our danceaiders felt the same. It was actually too cold to put your face underwater without losing your breath*! After a minute or so in the water though you suddenly realise it’s nowhere near as bad as you thought it would be and you start to enjoy it. I know that sounds like a lie but it’s true. You know the worst bit’s over and you can hear the crowd cheering you on… It’s only when you get out of the water that you realise just how big the crowd is and just how much they really are cheering for you though. There are hundreds of people all stood behind barriers shout and yelling as you come out of the water, you really do feel like an Olympian (for a moment at least – then for some of us we remembered we really weren’t!). *It should be a bit warmer next year though as the race will be back in July and not in October (it was moved this year due to the Olympics) and we expect a slightly warmer river. Then it’s onto the bikes. After the swim in the Thames the bike ride seems almost relaxing, and particularly on some of the longer races, the ride let’s you see parts of London in ways that you wouldn’t normally – or at least for most of the danceaid entrants this was true, as they were coming from all over the country so very rarely get the chance to ride in London! 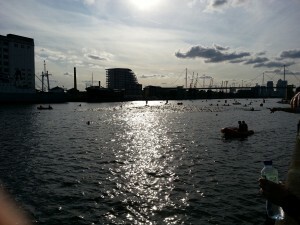 The crowds are loud and line most of the route, but the majority collect around the Excel centre itself. This kind of created the feeling that you were riding into a stadium almost as the route brought you back past the Excel twice (2 laps) which again was an amazing feeling as you ride into view and hear the cheers. It really gives you a boost. For our plucky danceaid triathletes the bike section didn’t always go smoothly – Laura (danceaid CEO) damaged her bike on the way to the event and was stuck in a high gear for the whole race. So if you saw a bike going quite slowly with the cyclist’s legs going really fast – that was probably her. She probably did twice as much work as everyone else in her race during the bike section! Ashley (from Parallel) also had a mechanical failure – he got a puncture. He rode to the first marshall’s station to get it pumped up but, unfortunately, he had a bike with an unusual valve and they couldn’t re-inflate it. So he had to ride on to the next marshall’s post with a flat before he could get back up to race pace. Neither of these things dampened their enjoyment though. The run really does feel special. You never leave the vicinity of the Excel so all the crowds are there – and you have to do a few laps of the course in most distances so you get to run through ‘charity alley’ where all the charity supporters seem to collect to cheer people on. This is where our danceaid support crew (and we are huugggeeelllyyy grateful to all of those who came along to support our triathletes) really get to test their lungs. As a runner you really do feel lifted and with constant access to water and energy gels (which work really well – just don’t take too many as apparently you get stomach ache!) those last few miles are pretty special… but the best bit is definitely the finish line. You run through a big finish arch with a big digital clock on top into the finishing area which is awash with cheering people, someone announces your name as you cross the line and everyone claps. It’s a great moment, then it’s onto the podium (which is there for everyone!) to have your photo taken before falling into the arms of your friends and families and finding a good place to sit down, relax and celebrate what you’ve just done. 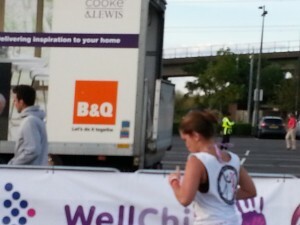 Lee did the Sprint Triathlon on Saturday; – The weather, the support, the experience – it was all amazing. I thought from my training I’d struggle a bit particularly in the run at the end which hasn’t been good. 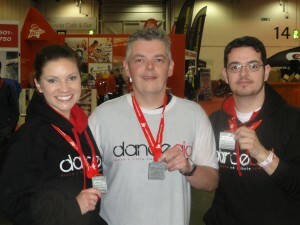 But in the race itself I was spurred on by all the supporters – danceaid must recruit the loudest supporters in the country – and ended up setting my best ever time in the run. I am totally hooked, and I’ve already signed up for the Olympic distance next year to race my brother. Neil did the Olympic Triathlon on Sunday; – “This was my first triathlon, and perhaps an Olympic-Distance wasn’t the place to start, but I loved it!! It’s a different kind of challenge to something like a marathon – you have to be fit for a variety of things, not just one thing. I wasn’t prepared for quite how long it can take to get your ‘land-legs’ back after the swim though! I really wished I’d practiced the swim-to-ride more. 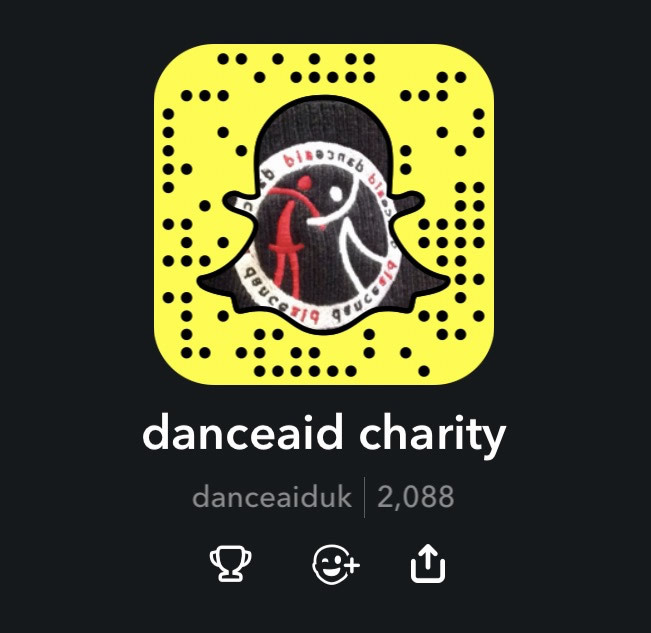 So there you go – our first, but certainly not our last danceaid triathlon! Roll on July 2013! !